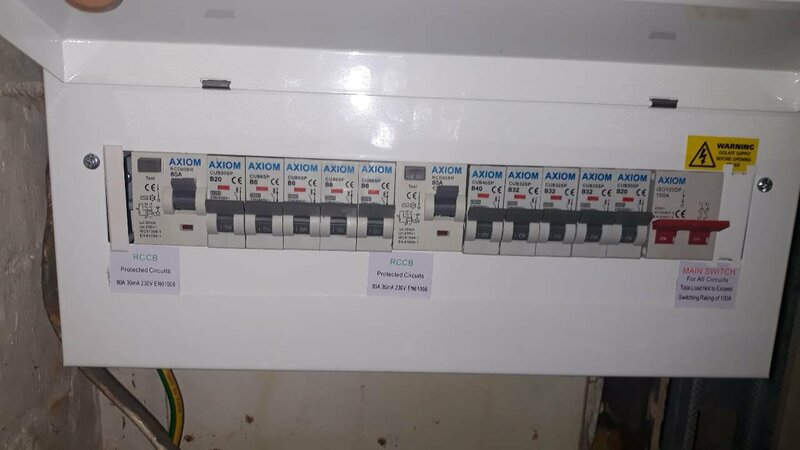 As title, im looking for some advice, my mother has recently took over a hotel and as premesis manager she is responsible for having safe electrics ect.. anyway when she took over the building was a shambles the wiring was/is horrendous and it needed saftey testing, so the test was carried out an we was left with a number of c2's and c3's that needed to be rectified before a certain date, now as she doesnt own the building and isnt responsible for renovation of the building i advised her to contact the owner.to get the work done.. anyway the work has apparently been done by a qualified sparky.. now im far from it and this screams dangerous to me. Photos attatched and its inspection day again tomorrow and im pretty confident it will fail. Am i completley wrong or is this dangerous? You will have a low neutral earth resistance on one or more of the circuits. This trips the RCD. There is no overload. Any refrigerant guys out there?